A brief post to say that I will be traveling to this year’s Locarno Film Festival. The line-up looks great, and I’m hoping to catch the new Nicolas Pereda film, Los Ausentes, and the latest by Pedro Costa, Horse Money. Lav Diaz’s new film From What Is Before is running in the competition. After the festival, I will publish some extracts of the interview with Lav Diaz, which I will conduct while in Locarno. It’s probably going to be an edited short version of the full interview, but I will let you know. 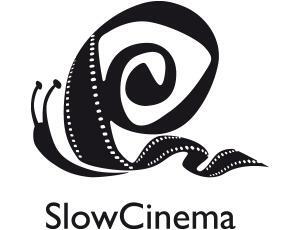 If, by any chance, you’re in Locarno from 6 to 10 August, please drop me an email (theartsofslowcinema@gmail.com), and perhaps we can meet up for a coffee (well, caffeine-free tea, for extra slowness) and have a slow talk about slow films. Looking forward to it! By the way, excitement isn’t good for slowness. It ruins everything! Here’s a brief rundown of news from this month. I tend to tweet these things, but I think it’s a good idea to summarise it all once a month. Better for you, and for me. The first stills from Tsai Ming-liang’s new film, Journey to the West, have appeared online. They are few, but they look SO good. Very photographic. And much similar to Walker, as expected. You can find the stills here. That said, The Cinema Guild has acquired the right to Tsai’s Stray Dogs. Fantastic news. This means that we will have the pleasure of having yet another Tsai DVD at home. Carlos Reygadas has received two nominations for this year’s Cinema Tropical Awards. Post Tenebras Lux is nominated in the category Best Film, while Reygadas himself is nominated for Best Director. Good luck! Thai filmmaker Apichatpong Weerasethakul and other independent Thai filmmakers have launched their own sales company, Mosquito Films Distributions. Aim is it to increase the visibility of Thai film in the film circuit. Good news: the omnibus feature Tsai contributed to, Letters from the South, is in their hands. Denis Côté, whom I have mentioned in this blog in relation to his film Bestiaire, also has a new film, which is to premier at the Berlinale. Title: Joy of Man’s Desiring. Stills and a trailer have emerged, and it looks intriguing. Very similar to Bestiaire in a way. I really like this type of filmmaking. Apart from this, Slow Cinema is having a good start of the year with films at Göteburg, Rotterdam, Glasgow, Tromsö, Portland and Berlin. As far as I can see, there are a lot of newcomers on the slow horizon, especially in Rotterdam.